Go Green with Ghent's Recycled Rubber Bulletin Boards. Made with 90% recycled materials, this board is sure to pass any green standard. The textured surface is fashioned to withstand the toughest conditions and is paired with a aluminum or wood frame to match any interior. 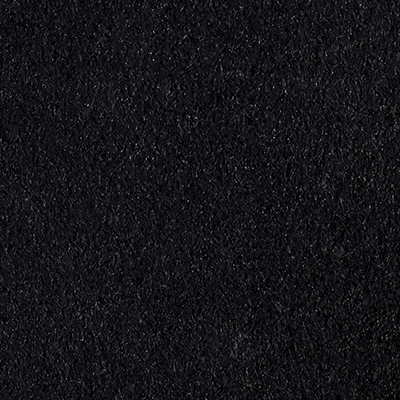 WHY Enclosed Recycled Rubber Bulletin Boards? Going green is easy with our recycled rubber bulletin boards made with 90% recycled materials. 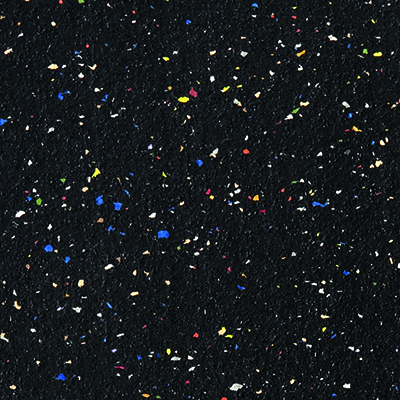 Recycled rubber surface is self-healing and won't show pinholes created by repeated tacking. 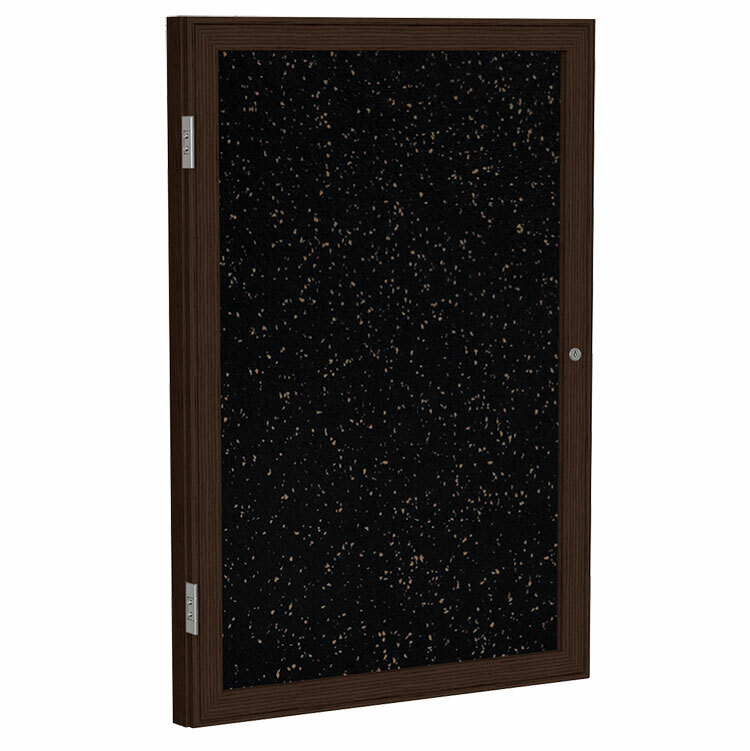 Each unit features shatter-proof acrylic door panels and tamper-free locks to protect your message in high-traffic areas. Ghent's rubber boards can be cleaned with household disinfectants - great for hospital and school environments. 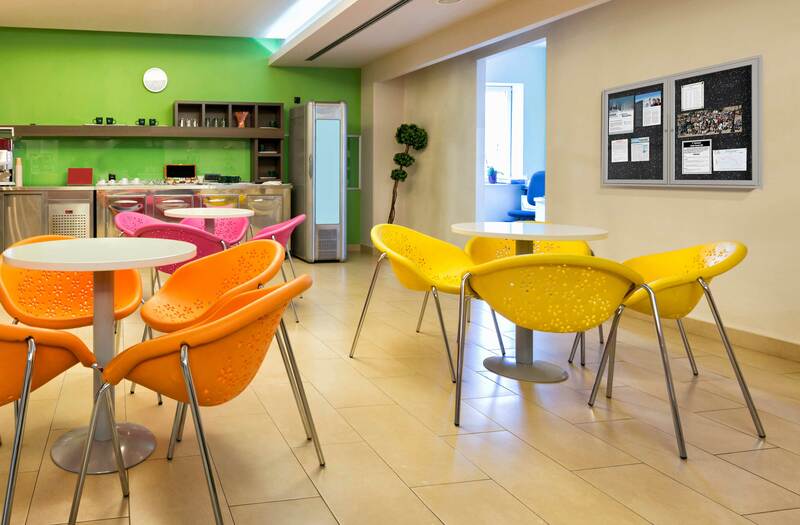 Choose from a selection of five frames and three surface color options. 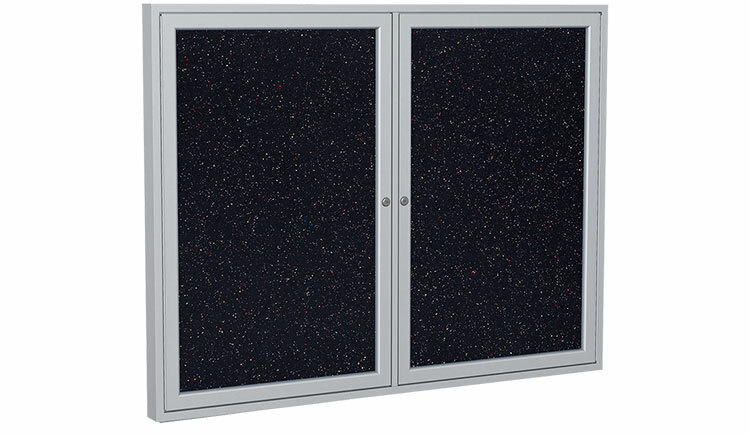 Ghent's Enclosed Recycled Rubber Bulletin Board is the perfect way to display messages, pictures, and important information securely. Made with recycled tire material, the resilient rubber offers a self-healing bulletin surface that is long-lasting and eco-friendly. Ghent hand-crafts each message center, making sure the rubber bulletin surface is smooth and damage free. The enclosed boards have hinged doors, shatter-proof acrylic windows, and tamper-free locks that keep announcements secure. You can install the board in high-traffic, public areas without worrying about your announcements being removed or damaged. 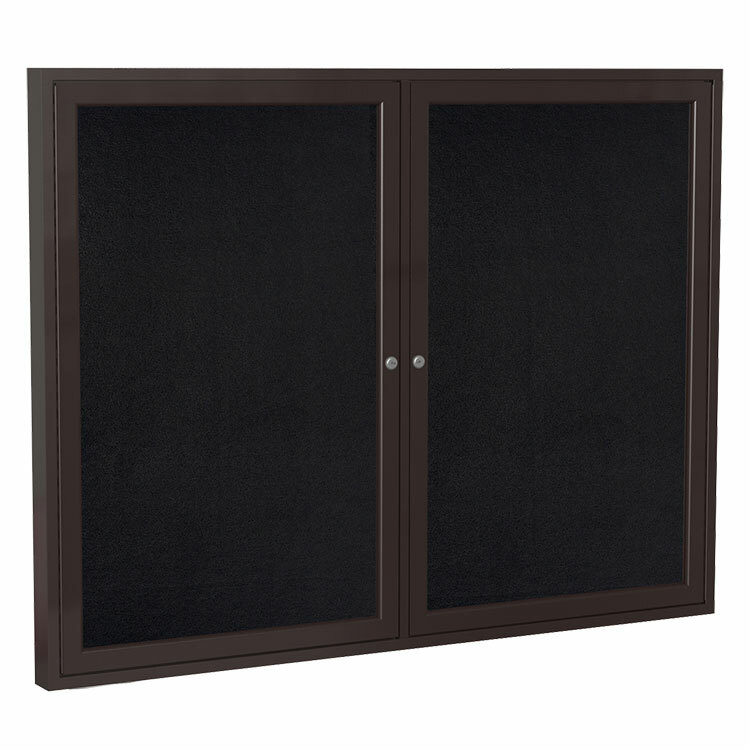 Aluminum units feature concealed corner brackets and wood units have pre-drilled holes for easy and secure mounting. 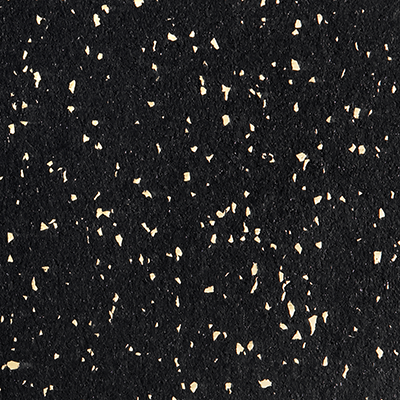 Ghent's rubber bulletin surface is washable and stain-resistant so you can disinfect the board if your building has rigid cleaning requirements. The textured rubber surface is paired with a handcrafted frame and complements the design of any room. Ships to you in Ghent's worry-free packaging, designed specifically for shipping enclosed boards. 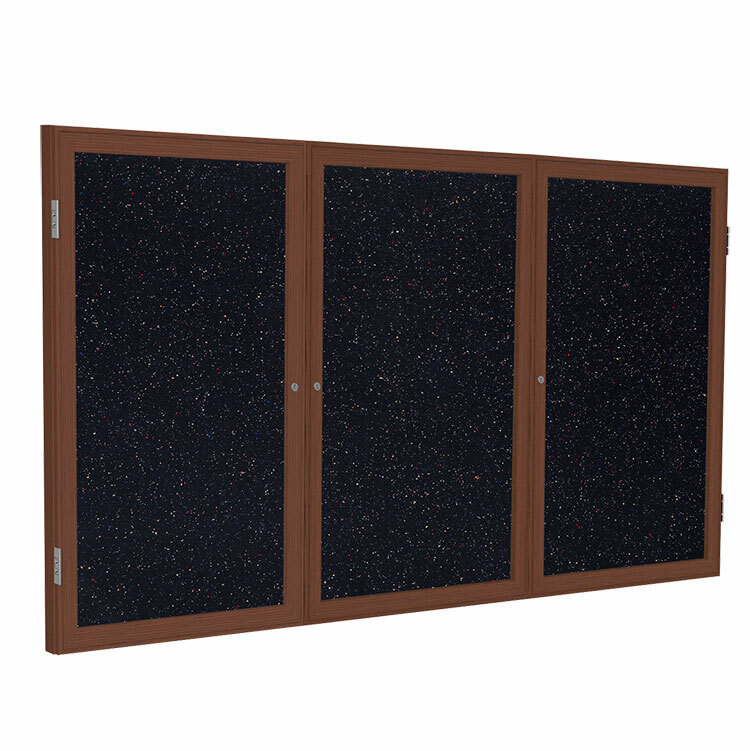 Ghent's Enclosed Recycled Rubber Bulletin Board carries a 10-year warranty and is made in the USA. Recommended for indoor use only.